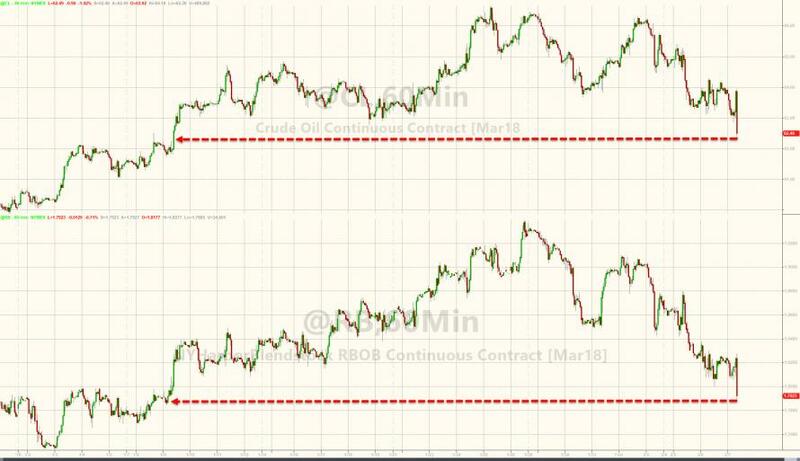 WTI/RBOB held on to gains after last night's surprise crude draw from API, but quickly tumbled after DOE reported a 1.9mm crude build (2nd week in a row) and significant gasoline and distillate builds. However, US crude production's massive spike to 10.25m b/d was the big headline. As Bloomberg's David Marino notes, Total U.S. inventories grew the most since early September. It's actually even a bigger deal than the headline number suggests: if not for a 6.4 million draw from propane/propylene and "other" oils, we'd be looking at a 10 million barrel build. 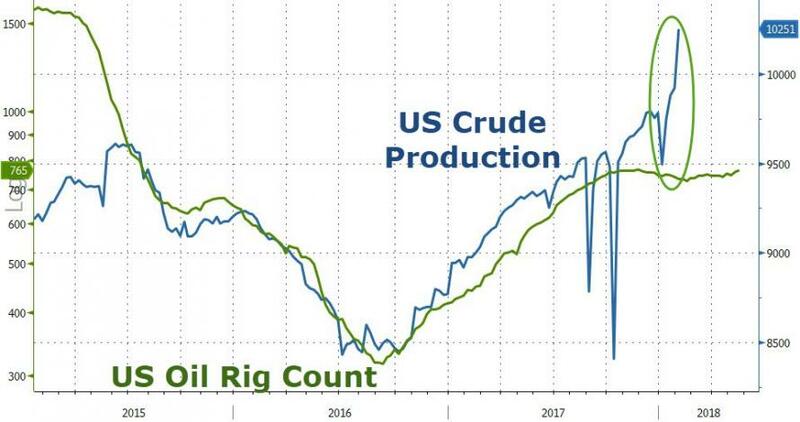 But all eyes were once again on US crude production as it smashed above 10m b/d. 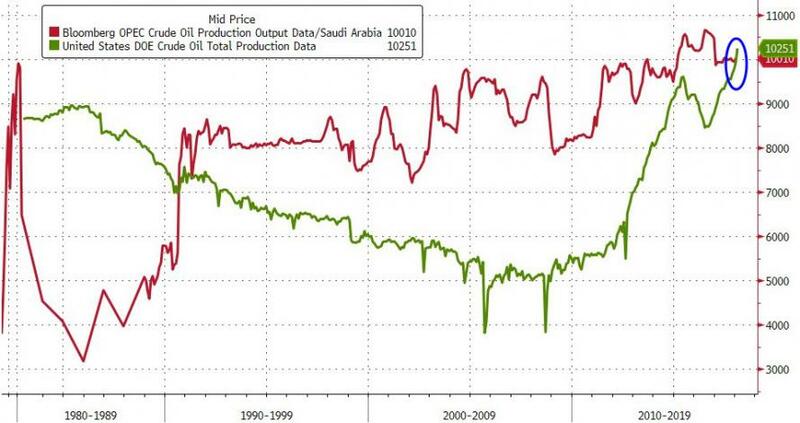 As Bloomberg's Julian Lee notes, that huge jump in crude production is not the result of a sudden burst of drilling. 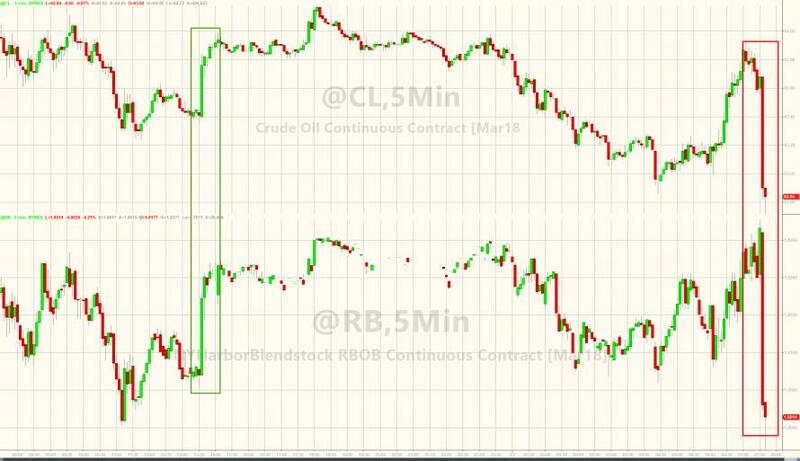 More likely it is the correction we expected after the earlier release of monthly data for November that showed production was already above 10 million barrels a day three months ago. 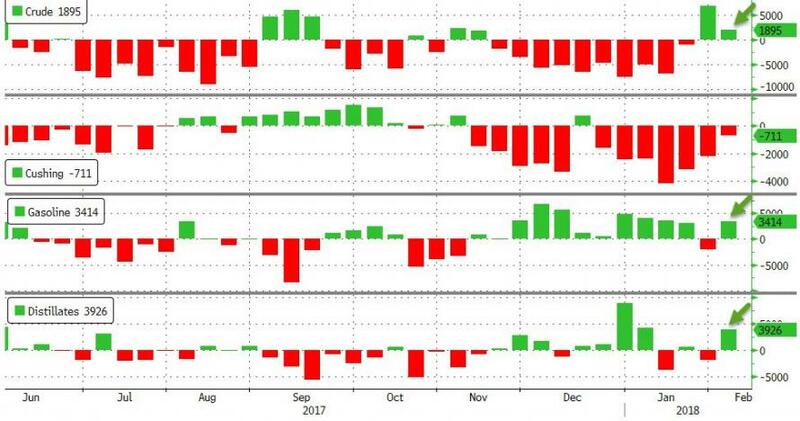 U.S. crude output hits a record high of 10.25 million bpd, surpassing both the monthly high set in Nov 1970, and Saudi Arabia's latest production.